These days, there are so many health experts shouting about ‘the next big diet trend’ that it can be tricky to keep up. Every time you turn on the news, the rules have changed. Every time you open a magazine, the headlines are filled with details of a new eating fad. It is hard to stay healthy in a modern world. There are vices everywhere. And the information that we are given is always conflicting. So, when an eating plan like the grain brain diet comes along, it is easy to end up missing out. Like a lot of modern diets, the grain brain diet makes some bold claims. But we will look at these in more detail later. First, it is important to ask how we can tell the good diets from the bad. Or, more accurately, is there any such thing? After all, look at diets like the Atkins. There are millions of people who love and swear by it. Then, there are others who claim that it is unhealthy for the body. Ultimately, you have to find what works for you. And you have to learn how to stick to it. This can be the most difficult part of dieting and healthy eating. We consume so much fat, sugar, and salt that our brains have become addicted to them. It is hard to break these bad habits, but the benefits can be huge. Plus, if you need extra support, you can always turn to self-hypnosis and NLP techniques. These methods are guaranteed to make sticking to healthy eating plans easier than ever. This in depth guide to the grain brain diet and its relationship with hypnosis will help you start transforming your life right now. First things first, have you ever tried to stick to an eating plan and failed miserably? If the answer is a tentative yes, don’t worry. We have all been there. The problem is that most modern diets are structured in a way which sets followers up for failure. They either make unfair demands or they actively work against normal cognitive trends and patterns. This is where the grain brain diet stands out. It does not rely on complex calorie calculations. There is no confusing set of rules about what can be eaten at what times of the day. The principles of the grain brain diet are simple, if a little unconventional. It is founded on the belief that grains are inherently unhealthy. Hence, the notion of ‘the grain brain.’ We are so used to consuming carbs (like bread, rice, and pasta), that our brains have become dependent on them. As a brain healthy diet, this eating plan is rather promising. As there is no fixation on ‘guilt’ or ‘cheat days,’ there is no need for followers to subject themselves to unreasonable standards. Once again, the rules are simple. Avoid carbs and indulge frequently in healthy fats. This is very different from most modern diets. 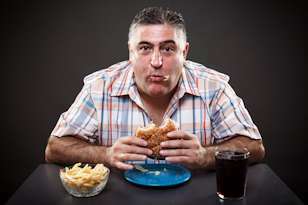 They not only disregard the role of habit in eating, they usually try to work against it. Time after time, studies have shown that dieting is more effective in the presence of positive thinking. If all that you do is tell yourself ‘no,’ all that you will be able to think about is the forbidden food. This is how the brain works. To process the instruction not to give in to cake or chocolate, you absolutely must think about chocolate. Is it any wonder that so many diets fail? We are at war with our subconscious, when we could be nourishing and feeding it. If you want to see results, on the grain brain diet or any other kind of diet for brain health, you first need to understand the role of habit. There are three ways in which bad habits contribute to unhealthy eating. And, with the right NLP techniques, each one can be broken for good. More on this later. The first habit is associated with physical responses. To put it simply, the body rewards us for eating. This is an evolutionary development. In prehistoric times, it motivated us to find food so that we would not starve. The problem is that we are no longer hunter gatherers. Our food is plentiful and it is all around. So, the pleasure responses and the hormones triggered by eating are not always useful. To live healthily and eat well, we must learn to distinguish between feeling full and overeating. Always remember that there is a very real difference between being hungry and being bored or restless. The second habit is associated with conditioned responses. They are triggered when we develop associations between our activities or our environment, and eating. For instance, you might come home from work and sit in front of the TV with a bowl of ice cream. When it comes time to diet and cut back, you will have to break the association between the action or the location and eating ice cream. Otherwise, you will automatically reach for ice cream whenever you watch television, even if you are not hungry. The last bad habit involves emotional responses. These are the most damaging of all. They occur when a person uses food as a way to alleviate, delay, or conceal unhappiness. This behavior leads to rapid weight gain and a very unhealthy attitude towards food. If you want to shed the pounds, you must learn that food cannot fill an emotional need. The bad news is that all three of these issues are centered within our subconscious mind. There is no reasoning with the subconscious. That’s because the job of reasoning is centered in the conscious mind. And that is why, under normal conditions, it’s so difficult to change the way that we eat. The good news is that we can reprogram the subconscious mind to automatically change our eating habits, through self-hypnosis. We’ll get to more on this later in this article. The grain brain diet is similar to the Atkins and the Paleo diets. All of these eating regimes encourage a significant reduction in carb consumption. 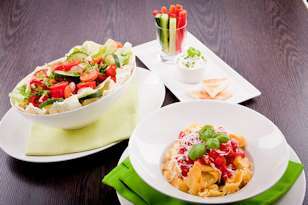 They recommend lots of fresh fruit and vegetables, oily fish, eggs, cheese, lean proteins, and nuts. This brain diet is unconventional, however, because it also discourages whole wheat carbs. So, steer clear of brown rice, rye bread, and brown pasta too. Rice, rye bread, and brown pasta will make you feel bloated, without contributing to the health of your body and brain. Wherever possible, eat naturally grown and organic ingredients. The less artificial components, the better they are for your insides. This brain food diet is not only great for your mind, it will strengthen your heat too. Plus, it will give you lots of extra energy and vigor. The only challenging aspect is likely to be cutting down on sugar and salt. 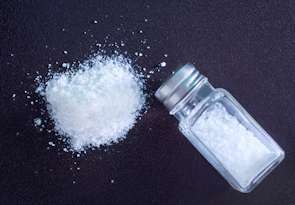 The reduction of salt is particularly difficult for dieters. We are so used to consuming foods filled with salt that we have developed a dependency on it. You may struggle at first. However, the trick is to treat yourself kindly. Do not start the grain brain diet and immediately attempt to cut out all salty ingredients. You will fail. Instead, take it slow. Reduce your intake gradually. The same rules apply to things like portion sizes. If you try to switch instantly from large meals to small ones, you will only feel hungry and splurge later. Be patient. The results will come. And if you continue to struggle, turn to the magic of self-hypnosis and NLP (Neuro-Linguistic Programming) techniques for a tremendous amount of support. These effective methods speak directly to the subconscious. They do not try to conceal or trick the brain into ignoring bad habits. This simply does not work. With NLP, the bad habits are targeted, defined, and broken for good. 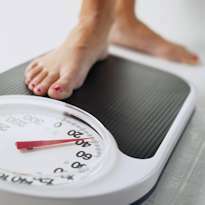 The next section will discuss self-hypnosis and NLP for weight loss in more detail. There are many, many different hypnotic techniques that can help anyone to overcome oral cravings and a compulsion to overeat. Here are just a few of the most effective ones, in no particular order. NLP Flash: This is a particularly effective Neuro-Linguistic Programming method that can be utilized to “flip” things about in the subconscious mind, so that experiences that previously triggered feelings of anxiety or stress actually trigger peace instead. This is the best technique for extinguishing conditioned responses. With “Ericksonian Hypnotherapy” we use stories, called metaphors, to add ideas and suggestions to the subconscious / unconscious mind. This is a powerful procedure, because it generally abolishes the blockage of and resistance to suggestions that is often caused by the conscious mind. There are two types of metaphors, “Isomorphic,” and those of the embedded command or “interspersal” nature. Process Instructions tell the subconscious/ unconscious to find a memory of an appropriate learning experience from the past, and use that experience to make a change in one’s present behaviors. The good news is that self-hypnosis is affordable, easily available, and very effective. It does not even have to be carried out in a formal setting. In fact, for most people, a more relaxed approach is better. This usually involves independently listening to an NLP recording (MP3 or CD). As long as this recording has been professionally produced, the impact will be the same as a one on one session. To make sure that your recording is genuine and reliable, do some research on the best hypnotherapists on the web. Check out their training, credentials, and number of years of experience. Once you know who and what to look for, you can browse and buy from them with confidence. Keep an eye out for testimonials, reviews, and accreditation’s. There are a lot of different products out there and they are not all trustworthy. 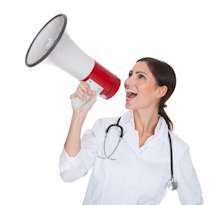 Be an informed consumer and take control of your hypnosis results and your life. It was easy to lose the weight with this because you lose the compulsion to eat! “I’ve been on the Neuro-VISION® (Hypnosis & NLP) program for 4 months and I’ve lost 55 lbs. 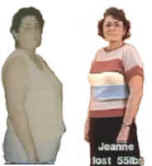 It was very easy to lose the weight with this program because you lose your compulsion to eat.” See Jeanne’s before and after video! See My Hypnosis & NLP Programs Molded to Your Needs!